Hello everyone, this is an Sample PPDT practice set on A SOLDIER IS CLIMBING UP . This is a part of PPDT Practice set , which may come across during your SSB Psychological TAT or on SSB Screening PPDT.I have also uploaded many sample psychological PPDT and TAT stories for your preparation earlier. Practice more and more for better practice. Pritam was a NCC cadet. He did well in many adventurous activities in NCC annual day celebration. He assessed that army was the best place for him, where he could do well and rise maximum. Pritam appeared at the UPSC and then SSB tests and got selected. His desire was to fight with enemy on the battle field. He thus opted for Infantry. After a year’s time of his posting to an infantry unit, the Kargil conflict started. As Pakistani soldiers entered into Indian territory with the intention to alter line of control and occupy the mountain heights in Kargil, Batalik and Drass sectors. The unit of Pritam was given task to eliminate the enemy from the top of Kargil mountain. Pritam briefed his men about the plan. 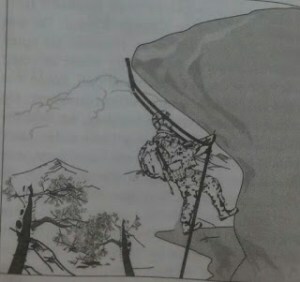 He moved during night with required helping material to climb the mountain and carry weapons including ammunition to kill the enemy. Pritam attacked ferociously during midnight giving surprise to the enemy. And he along with his eliminated the enemy completely from that area. Pritam led his troop to the magnificent victory. Which gave also josh to entire company and Pritam led many such covert operations during entire Kargil conflict. No Comment to " PPDT PRACTICE SET 19: A SOLDIER IS CLIMBING UP "